When you think about it, our objective as photographers is to share our own unique vision of the world. If enjoy shooting subjects in public places without people fit your vision go for it. On the practical side shooting scenes without people gives you more control and time. You have the ability to visit the scene at different times of day, in different weather and under different lighting. For example here’s one I made recently. 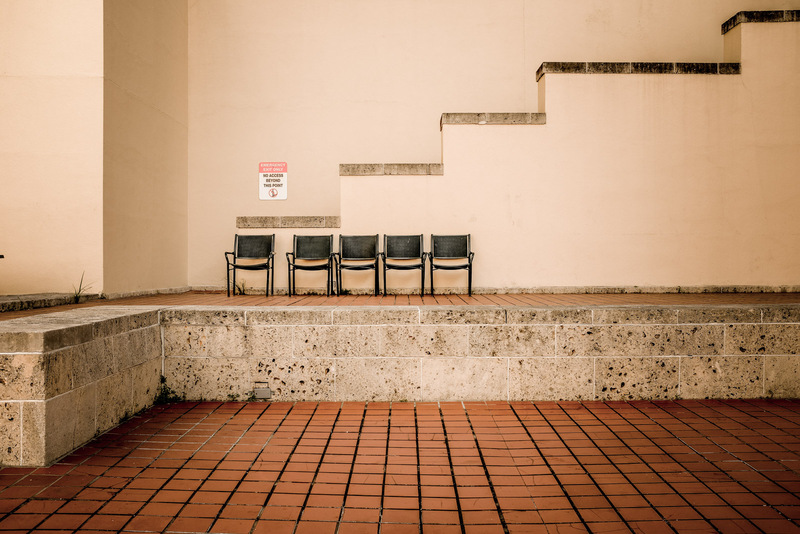 I was meeting with another photographer in this courtyard outside the Miami Street Photography Festival. My eye (and my attention) kept being drawn toward this row of chairs next to the wall. It was so distracting that I apologized and told my guest that I just needed to stop and take a few shots of the scene. Just then someone sat in one of the chairs ruining my shot. I decided to come back again when nobody was around to make my photo. Fortunately, two days later the light was just right and the chairs were empty. I made several exposures from different perspectives. It wasn’t until four weeks later, that I reviewed the series and settled on this one. Following are some examples of photos created in each of these categories by some masters and contemporary photographers. I hope they will spark a desire to make some that fit your own personal vision. Probably the most popular form of street photography without people is the urban landscape. When you study the work of the masters, you will find many examples of this genre. These older images are some of the most interesting because they show us how much has changed since their time. But you don’t have to restrict yourself to wide shots from above. The possibilities are endless. You can shoot from street level, up close, interesting architecture, weather conditions or at night. Or a combination of these. Here are some examples to spark your imagination. The classic urban architecture photo is usually taken from a high place overlooking a city or section of the city. 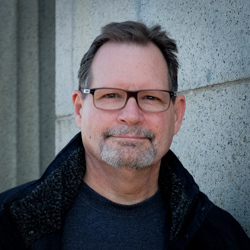 If the photo is being used in a series this perspective is often used as the “establishing shot” that gives the viewer a sense of where they are. 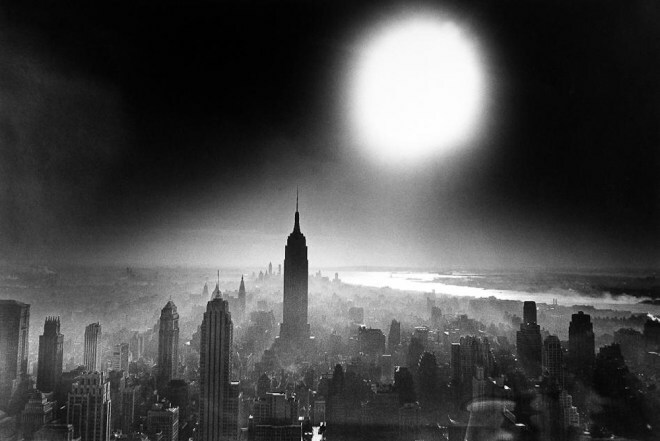 One of my personal favorites of this type is William Klein’s “Atom Bomb Sky” taken in 1955. 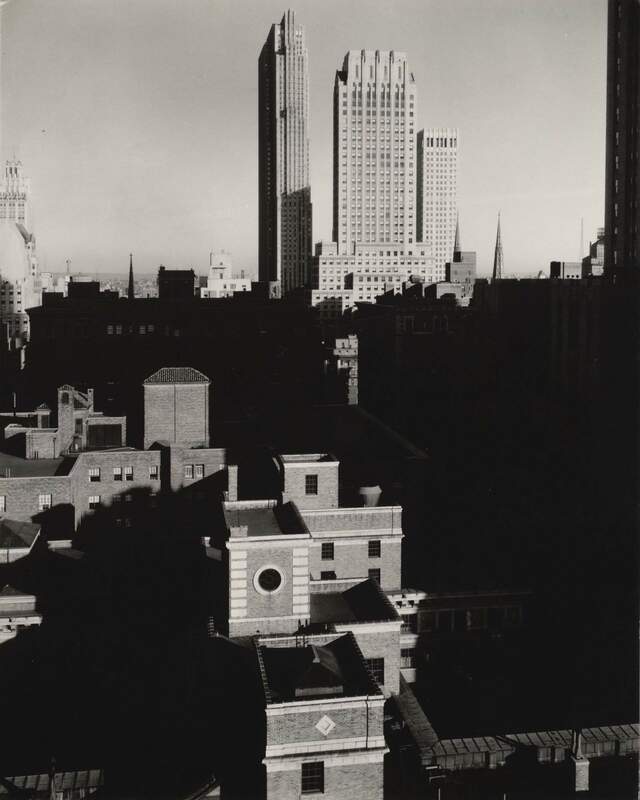 Klein exposed for the bright sun in the background leaving the buildings in silhouette, giving them a dark and gloomy appearance and leaving the viewer with a sense of foreboding. 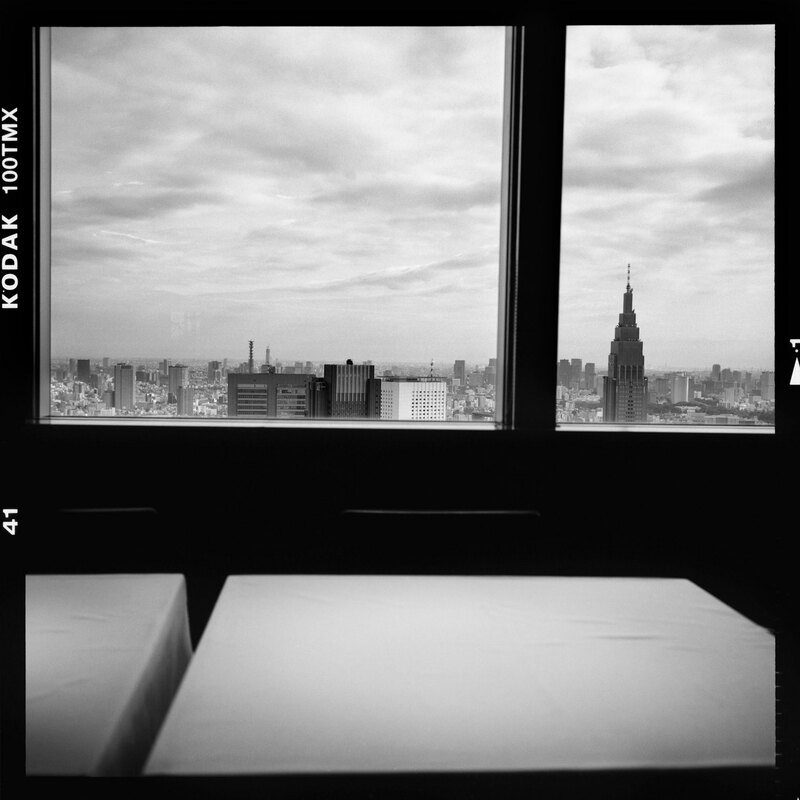 Another example was made by Alfred Stieglitz in 1935 from his window at the Shelton hotel in New York in 1935. It sold at auction for $135,000 a few years ago. Who says there’s no money in street photography? Resist the temptation to capture the whole thing. Instead get close and study the nuances. Here’s an example made by SPM forum member Graham Smetham. 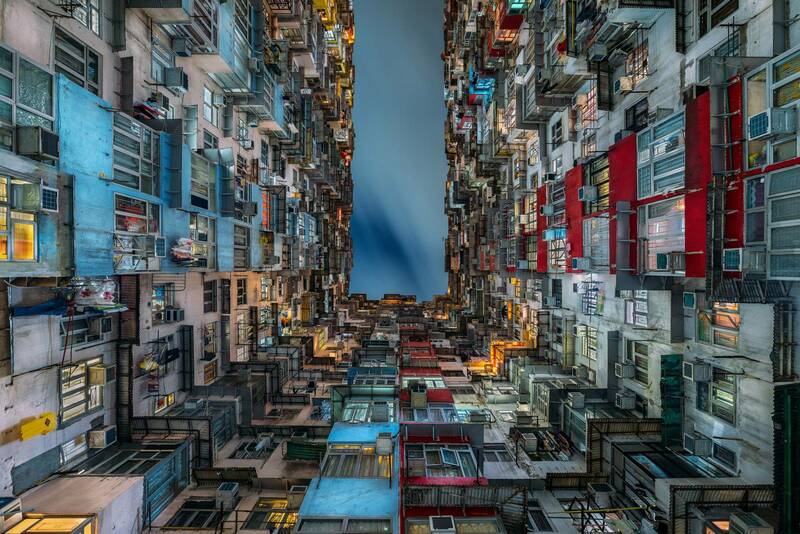 Australian photograph Peter Stewart has done some amazing work over the past several years which can be seen in his project titled Stacked Hong Kong on his website. Here’s one example, but be sure to visit his website to see the entire project (as well as his other work). 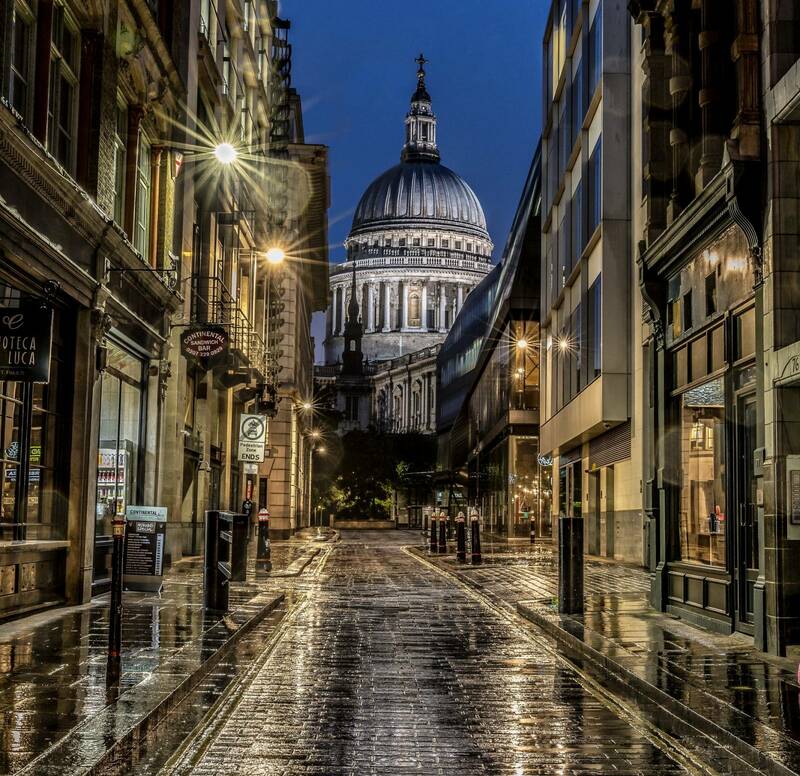 UK photographer Gary Norman made this photo of St. Pauls Cathedral on a very rainy morning in London. The weather was so bad he almost went home. Fortunately he didn’t and this is the result. Gary made a very entertaining video of his experience shooting that day. Check it out. Individual or groups of objects found in public places can make interesting subjects. That’s a very broad definition but it can be anything (except people of course). Really anything from signs, shopping carts, trash cans, telephones, benches, cars…too many to list. Because you have the ability to return and photograph your subjects in different lighting conditions, weather and time of day you the ability to let your imagination run wild with a single subject. 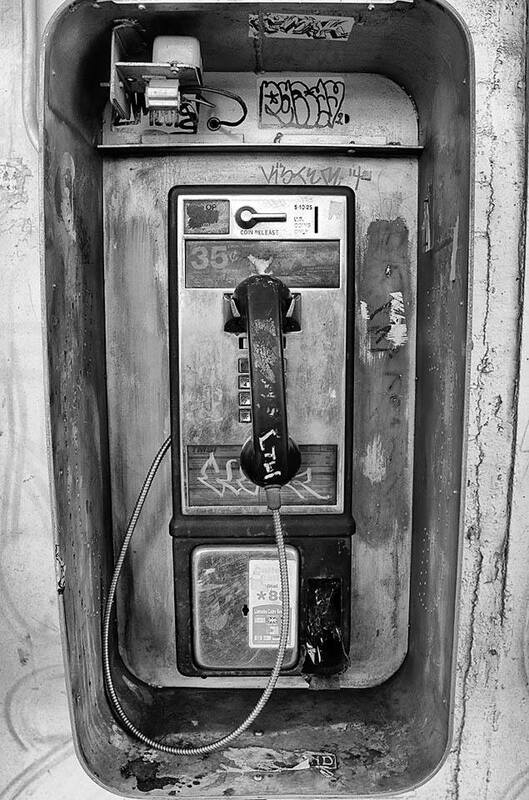 For example this pay phone captured by Randall Roberts and rendered in black and white is something most of us would pass every day without noticing. But Randall was drawn to it enough to make this photo. 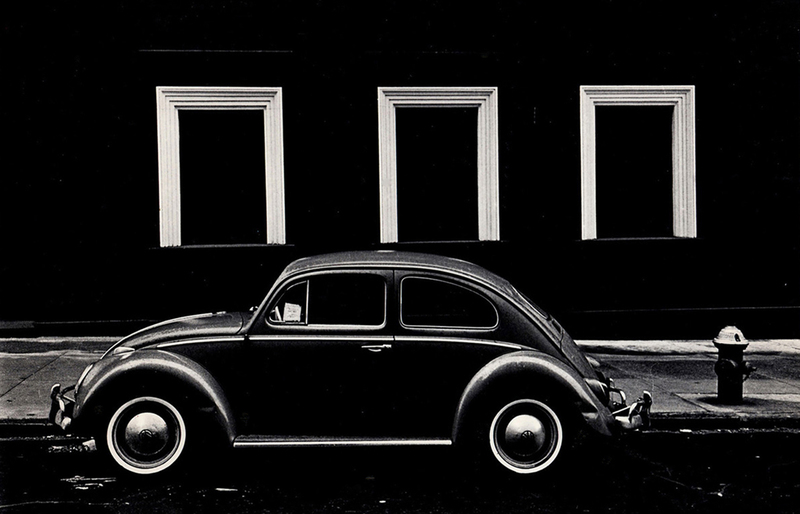 One of my favorite street object photos is the Volkswagen Beetle photographed by the late Len Speier in New York City during the 1960s. At that time these cars were everywhere. 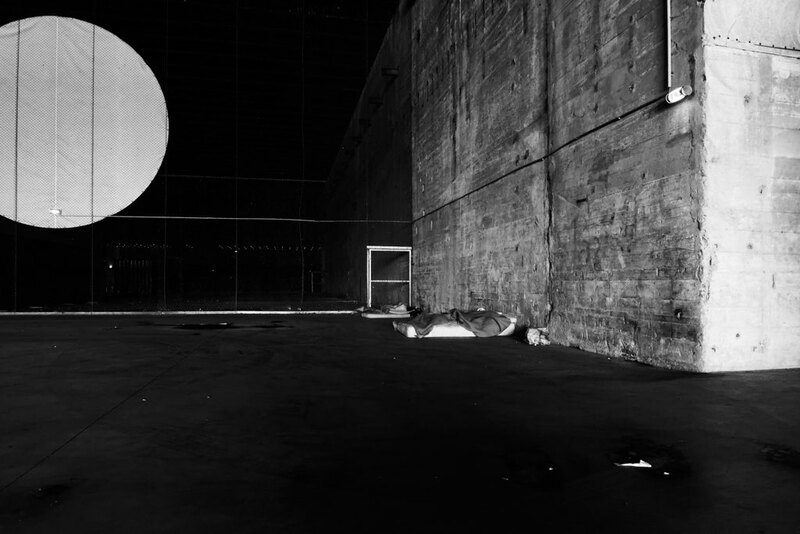 But Len was attracted to the curved shape against the rectangles formed by the white windows behind it. We featured this photo on the cover of our 1st anniversary issue in April 2014. Len later made a print for me which I treasure to this day. Because the street is so chaotic most street photographers tend to include lots of elements in their photos. 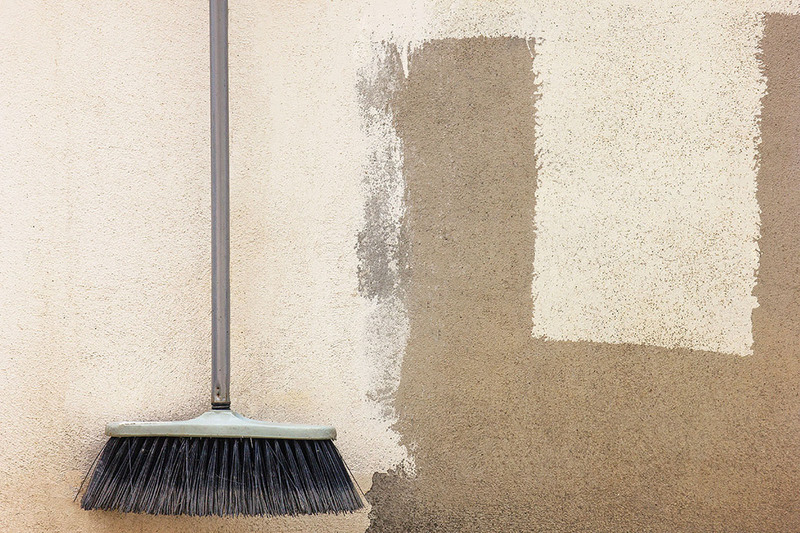 It’s difficult to isolate a subject with busy, rapidly changing backgrounds. But photographing static elements gives you time to explore and view the scene from different perspectives. Time to work the scene. It give you the ability to experiment and remove unnecessary elements. To strip away the unnecessary and unimportant. 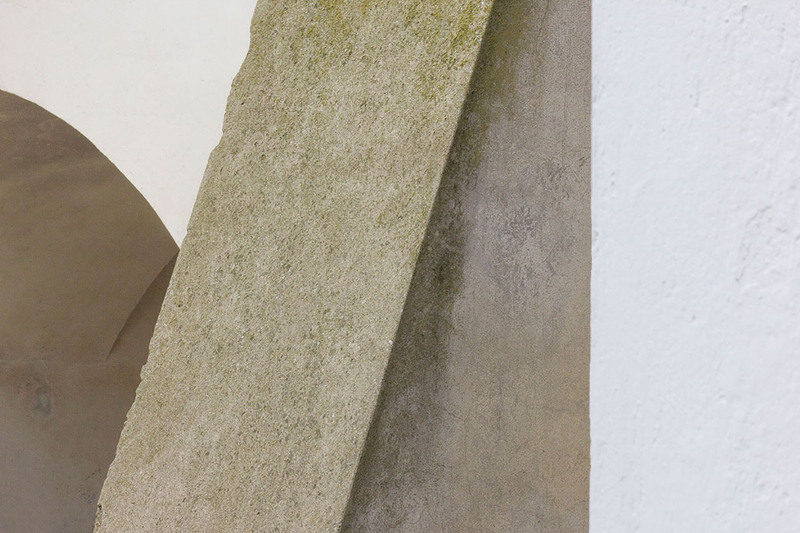 Architect and photographer Cyril’s Durant is a master of minimalism. His training a an architect has taught him to remove unnecessary elements, a practice that he applies to his photography. Like a sculptor removing unnecessary pieces of stone to reveal the object in their imagination. Cyrille works very hard to eliminate unnecessary visual information. 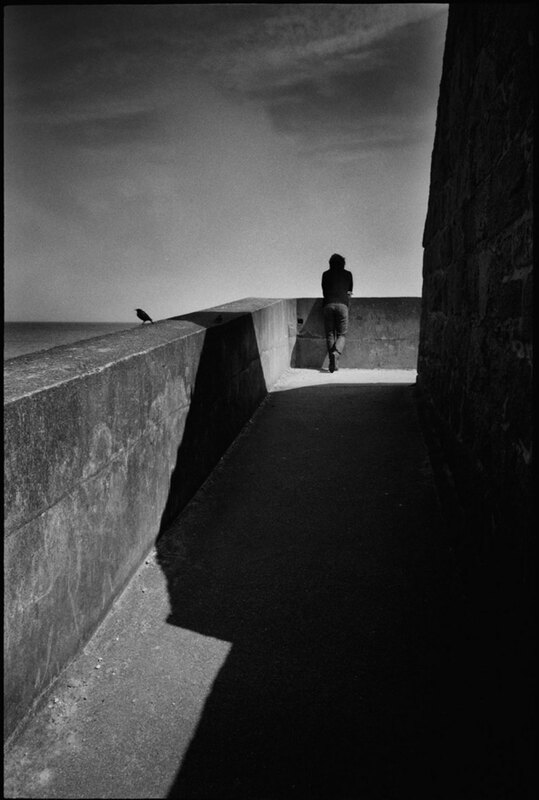 He looks at the shapes created by structures, light and shadow and their relationships to each other. Working only in black and white helps him visualize the patterns. This technique allows him to extend this concept to photos of people. I’m going to cheat and use a photo by Cyrille that includes a person to show how he applies his minimalist vision to making street photos with people. That vision enables him to easily recognize the simple structures in front of him to compose the shot…or pass completely if it doesn’t fit. 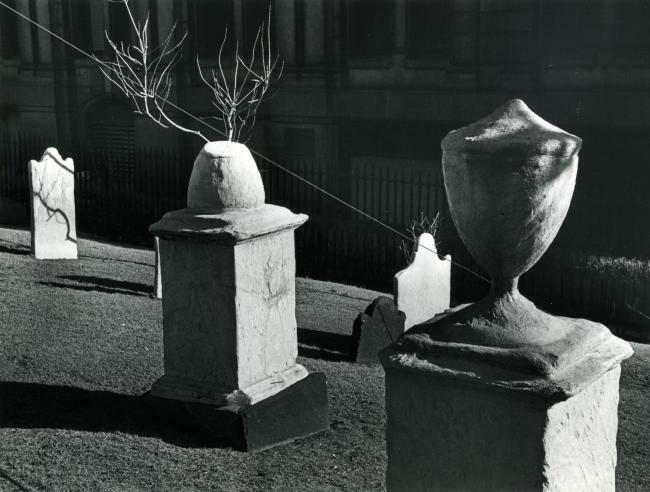 I can’t resist the urge to share an example of André Kertész , another master of street photography. During his life, Kertész made many street photos without people. In this one he eliminates all unnecessary elements to retain only what he felt was essential. Many street photographers create abstract compositions from lines, shapes, forms textures and colors they encounter on the streets.Interesting compositions can be found almost anywhere but you need to be looking for them. Otherwise you will pass them by. Although this is a departure from the stark reality depicted in street photographs these unique subjects can only be found on the streets. Ibarionex Perello is particularly adept at this. Because he shoots in Southern California he is exposed to many bright colors often in bright sunlight. 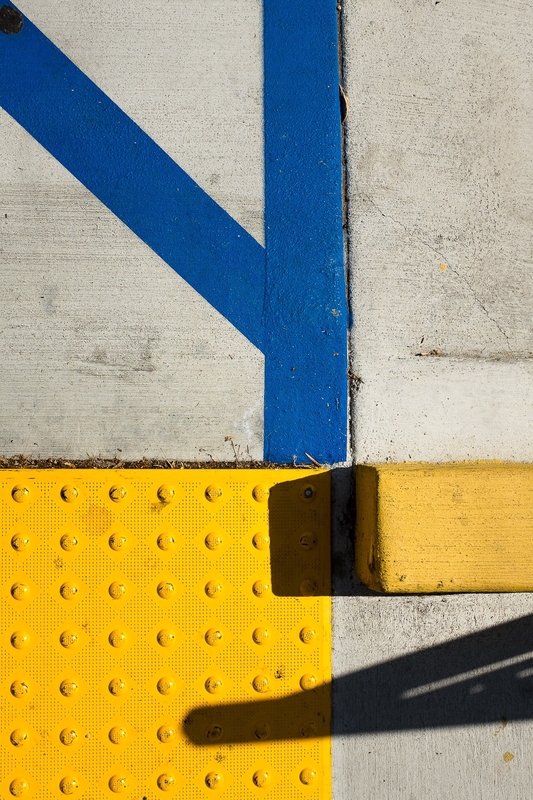 For example, he noticed this composition while looking down at the handicap ramp at his local bank. He says this photo is a good reminder to look for subjects in places other than eye level. 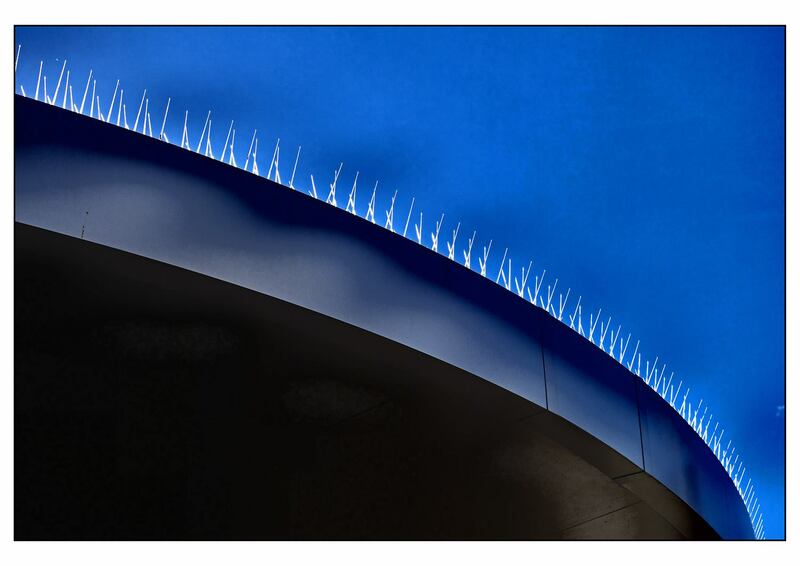 Another favorite photographer of mine who makes abstract street photos is Giorgio Di Maio. He is continually on the lookout for potential subjects to make up abstract images from shapes and lines created by old buildings in his native Naples, Italy. Another area that I’ve explored very little is abandoned buildings and other structures. There’s something about manmade places that have been taken over by nature that fascinates me. For example, French Laurent Bertrais photographer has made a study of a former Nazi submarine base in his hometown Saint-Nazaire France. 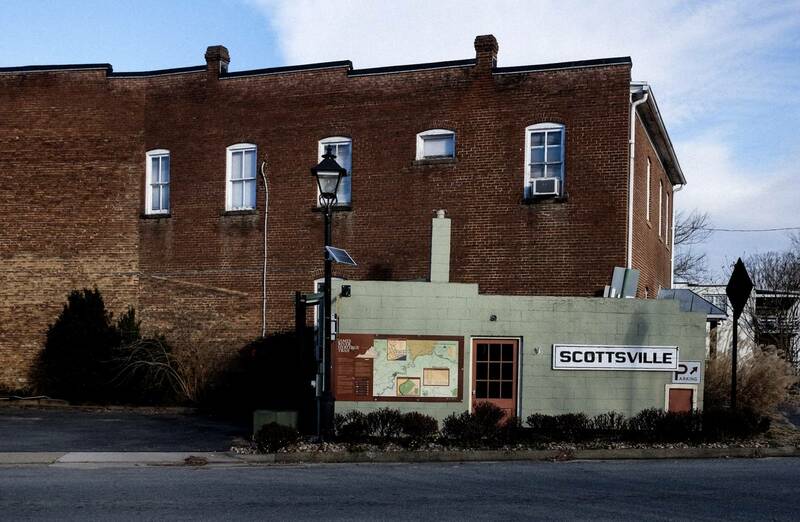 This creepy concrete structure has become an integral part of the city. 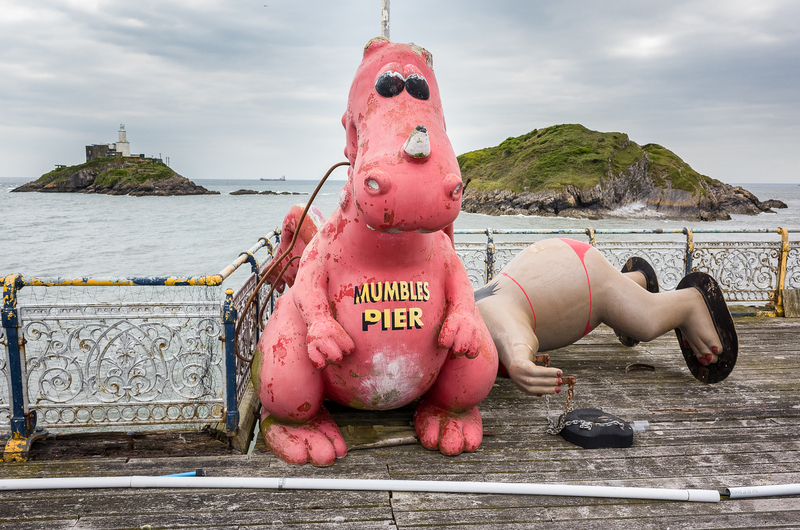 And photographer Math Roberts from Swansea, Wales frequently shoots on this abandoned amusement pier which contains many interesting subjects. I could go on all day about the wealth of photographic opportunities available in places without people. But I hope these examples will spark some ideas of things you can shoot in your own area. If you find something good, please share it via the submission form on our website (no subscription necessary, but you have to be logged in to use it) or through our Facebook group Street Photography Magazine Community (If you do, tag it with #spmnopeople).